This is your chance to join one of the fastest growing Harley-Davidson dealership groups in the United States and be a member of an industry leading team. Thank you for taking the time to send your resume and the interest you have shown in our company. 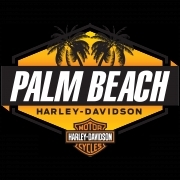 Palm Beach H-D is owned by the Veracka Family, who have celebrated success, in the Motorcycle Industry, for over 30 years. Palm Beach Harley-Davidson is an equal opportunity employer.